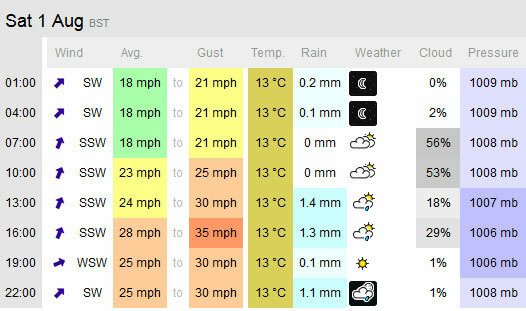 At the moment the weather forecast for Saturday’s Regatta doesn’t look ideal. We hope the weather will smile on us so that we can all enjoy the fun. We’re keeping an eye on the weather forecast and review again on Thursday night.